The best part? No coding is required. In fact, with SecuPress (free) or SecuPress Pro, it only takes a few clicks. And boy, does security feel good. Ready to start? I became a fan of SecuPress after trying Wordfence for a year. Don’t get me wrong, I like Wordfence. But I love SecuPress Pro. They also have a terrific free version. However, since I manage several websites, I figured $4.80 a month is worth it for the access to Tech Support. And for only $57.60 a year, it’s nearly half the cost of Wordfence Premium. The proof in the pudding? I’ve had zero hacking attempts since I installed SecuPress Pro. Ready to get started? Here’s a link for both the free and pro options. Always test new plugins and major updates on a staging/demo site. That’s because new code can sometimes conflict with existing code. So, have you backed up your site? Did you install SecuPress? Great, now let’s lock it down! 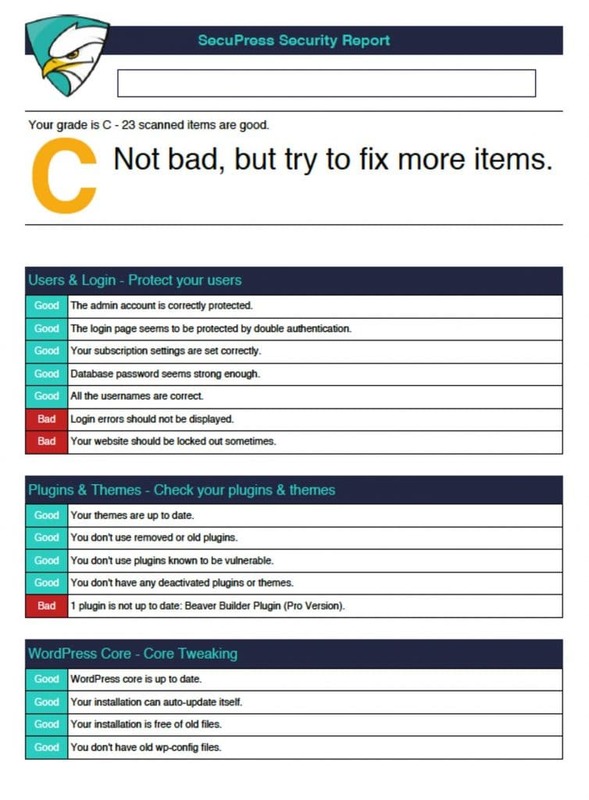 With SecuPress, it’s fun to compare your site’s grade before and after. To get a shiny Grade A, just do everything the report suggests. It’s a no-brainer. In fact, with a click of the “Fix It” button, SecuPress makes the changes for you. Pro-tip: Always read up on unfamiliar features before selecting them. SecuPress provides informative links on their features, so it’s easy. 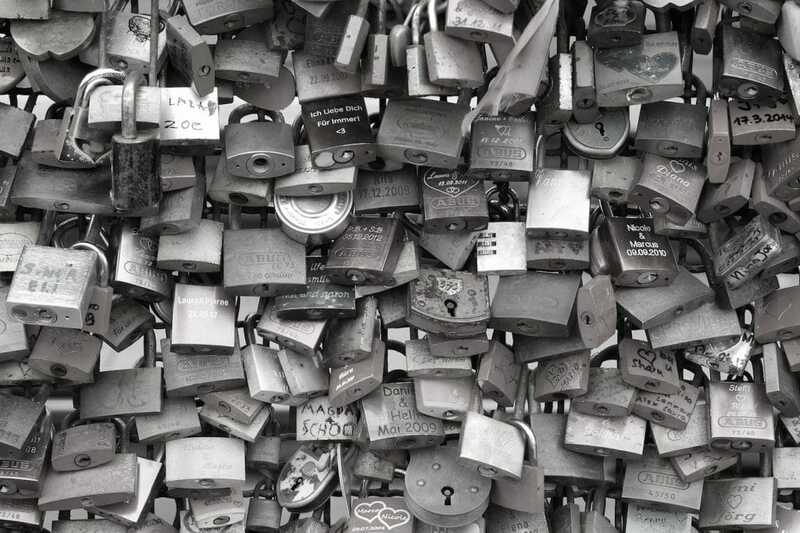 Now for the promise of the premise: Here are the best settings for your WordPress security. Heard of Brute Force? No, it’s not a cheap cologne. It’s one of the most common attack points on WordPress websites. 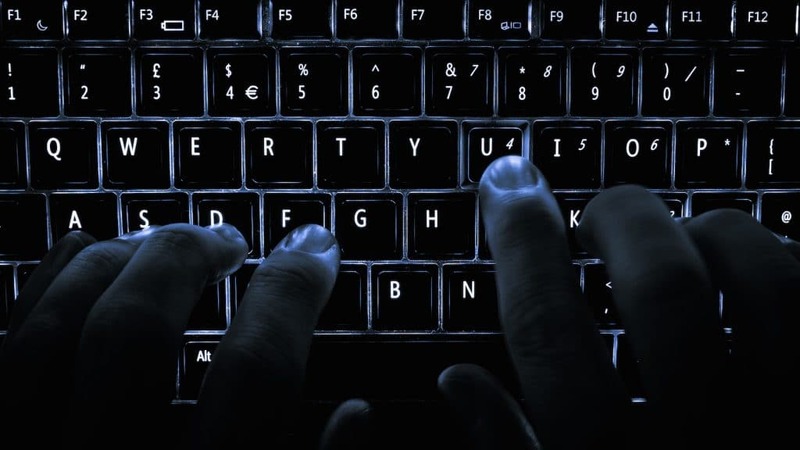 With a Brute Force attack, a hacker relentlessly slams the wp-login.php file until they break in. Consequently, the server may fail. Ruthless, right? How do you barricade your site? One way is to hide your login page. Luckily, that’s easy with the Move the Login Page feature. 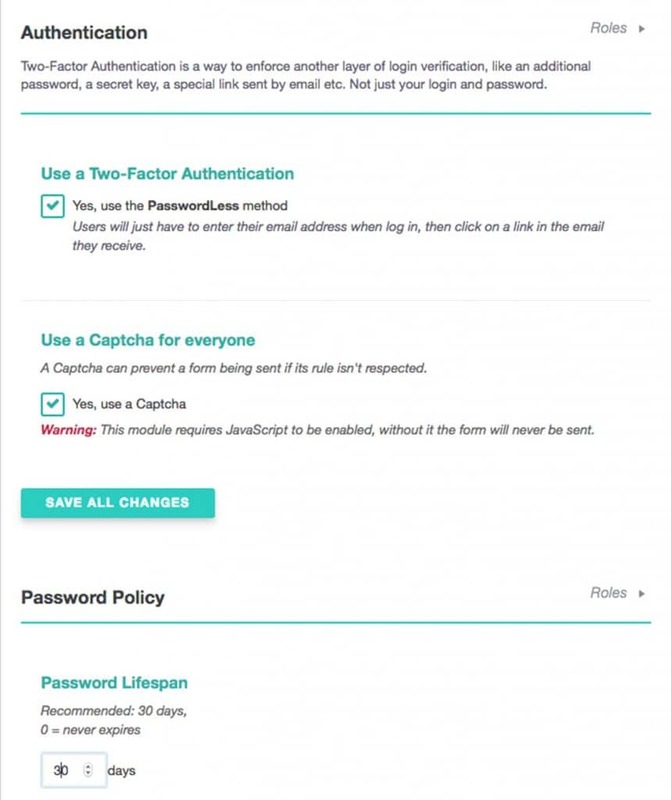 This allows you to invent your own login suffix to replace the default /wp-admin. For example, you can make it www.mydomain.com/mynewlogin. Obviously it should be something harder to guess. Once a hacker fails that login url, they are immediately blocked and redirected to the page of your choice. I like tossing them to my home page. Ah, sweet satisfaction. Want to sleep better at night? This option lets set up non-login times. Think of it as an after hours security gate. Because while your eyes are shut, why should your admin panel be open? Basically, all of these settings have one thing in common: When the bad guys come knocking, they hit a brick wall. And another. And another. Soon, they give up and look for easier sites to hack. But let’s make it a little harder for them, shall we? Sensitive Data: It’s the soft underbelly of your website. And unfortunately, because it’s quite technical, many site owners leave it exposed. Well, SecuPress Pro has you covered. 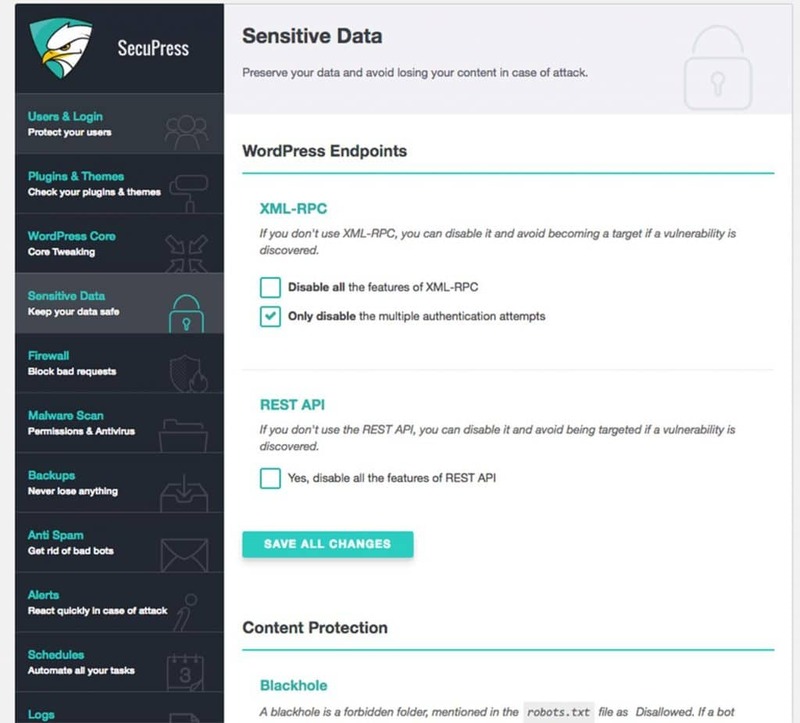 In fact, they offer 12 ways to protect your data from content scrapers and other foes. Content Scrapers have only one job: to steal your hard-earned Web Content. With that, very often, goes your SEO. Because, while Google penalizes duplicate content, it doesn’t always know which is the original. So if your ranking has fallen off a cliff, content scrapers may have pushed you. Here’s how to push back. Easy, right? Wait, there’s more! We’d all like to think we know a bad guy when we see ‘em. 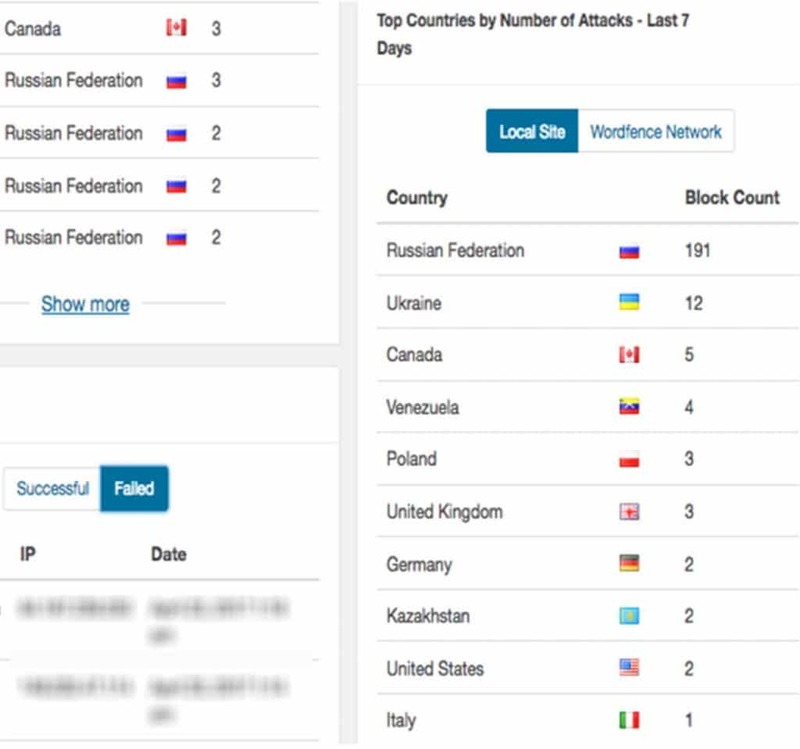 But online, new malicious user agents show up regularly. It’s enough to make your head spin. To think, I actually tried blocking IPs by hand once. It was an endless task. 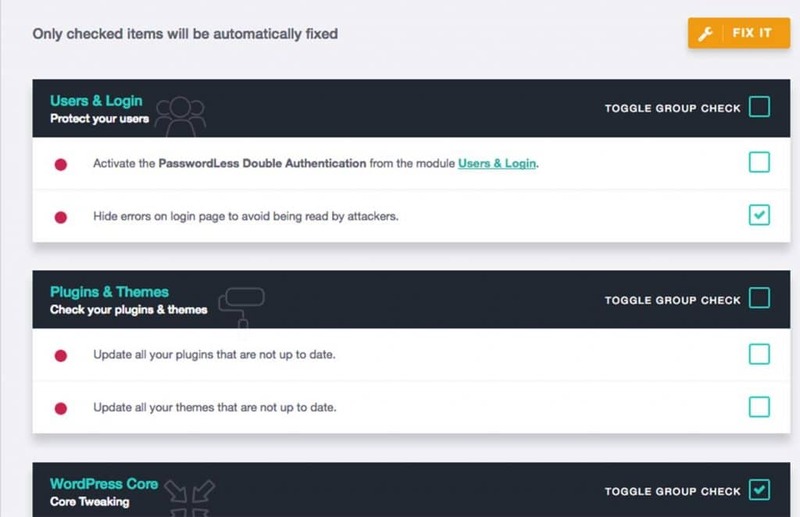 The setting for Plugins and Themes is easy to follow. 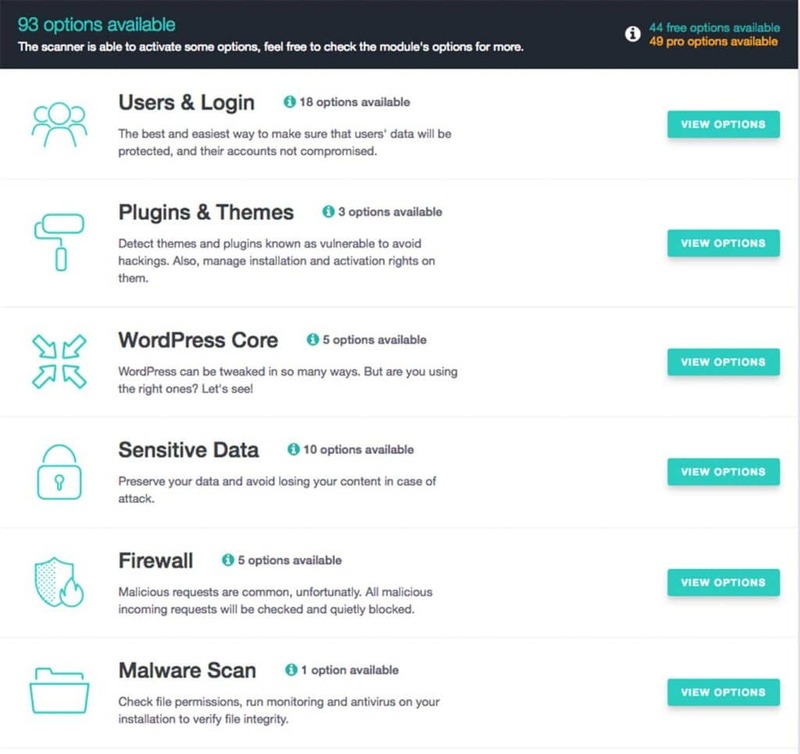 Basically, you can prevent new plugins, themes, and zips from uploading to your site. You can also prevent your existing goodies from being deleted. Following that, is WordPress Core Protection. This time-saver allows updates to occur automatically. What’s also cool is it can disallow unsafe HTML in the post editor. Pro-tip: Just tick all the boxes in this section. Finally, it’s good to know that SecuPress offers hacked site cleanups, plugin configuration, and technical support. In summary, whether you want to try the free version, or go for pro, you won’t be sorry. In my opinion, SecuPress offers the best value for your Website Security. Thanks for reading. If you have any great tips to share about WordPress Websites, Web Copy, or SEO, post a reply! And be sure to revisit our Freesources page for new free resources and research. Coming Soon: Web Design Trends and How to Write Great SEO Copy. ipsum quis Donec leo facilisis adipiscing Praesent Aliquam consequat.